As patron of Little Flower Catholic Parish, St. Thérèse of Lisieux invites each of us to a life of holiness. While our times and surroundings may be different, there is much we can learn from the example and spirituality of St. Thérèse. 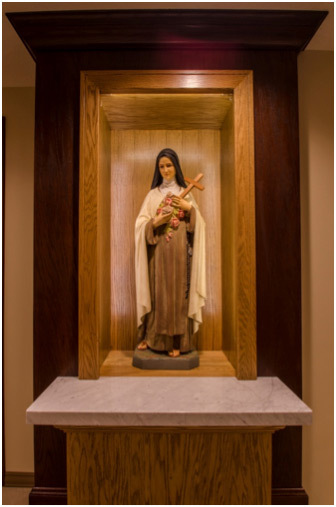 A shrine containing her statue is placed at the entrance of the Church, serving as a reminder to all who enter of her powerful intercession and care for us. In October 2013, Little Flower Parish had the privilege of being one of the few locations in the United States to participate in a national tour of relics of St. Thérèse. Parishioners and guests had the opportunity to view the writing desk, pen and inkwell which St. Thérèse used to write her letters, plays and her widely acclaimed autobiography “Story of a Soul.” Click here to view pictures of these relics. To commemorate the significant event of this relic tour, the Global Missions Office of the Diocese of Toledo commissioned and presented Little Flower Parish with this original drawing of St. Thérèse created by Fr. John Quigley of Franciscan Studios. This artwork is now part of the St. Benedict Catholic School Gallery. 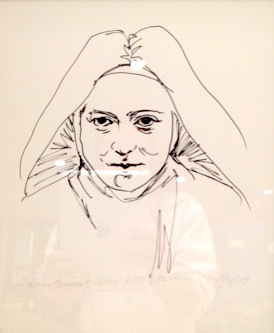 From an early age it was Thérèse’s ambition and desire to be a saint. She was born into a pious and loving Catholic family. She remembers her early childhood, spending time with her parents and 5 sisters in the unspoilt French countryside. However this early childhood was marked by the early death of her Mother (from breast cancer). Aged only 4 years old, she felt the pain of separation and instinctively turned to the Virgin Mary for comfort and reassurance. The next couple of years of St Thérèse’s life was a period of inner turmoil. She was unhappy at school, where her natural precociousness and piety, made other school children jealous. Eventually her father agreed for Thérèse to return home and be taught by her elder sister, Celine. She enjoyed being taught at home, however after a while, her eldest sister made a decision to leave to enter the local Carmel Convent at Lisieux. This made Thérèse feel like she had lost her second mother. Shortly afterwards Thérèse experienced a painful illness, in which she suffered delusions. The doctors were at a loss as to the cause. For three weeks she suffered with a high fever. Eventually Thérèse felt completely healed after her sisters placed a statue of the Virgin Mary at the foot of the bed. 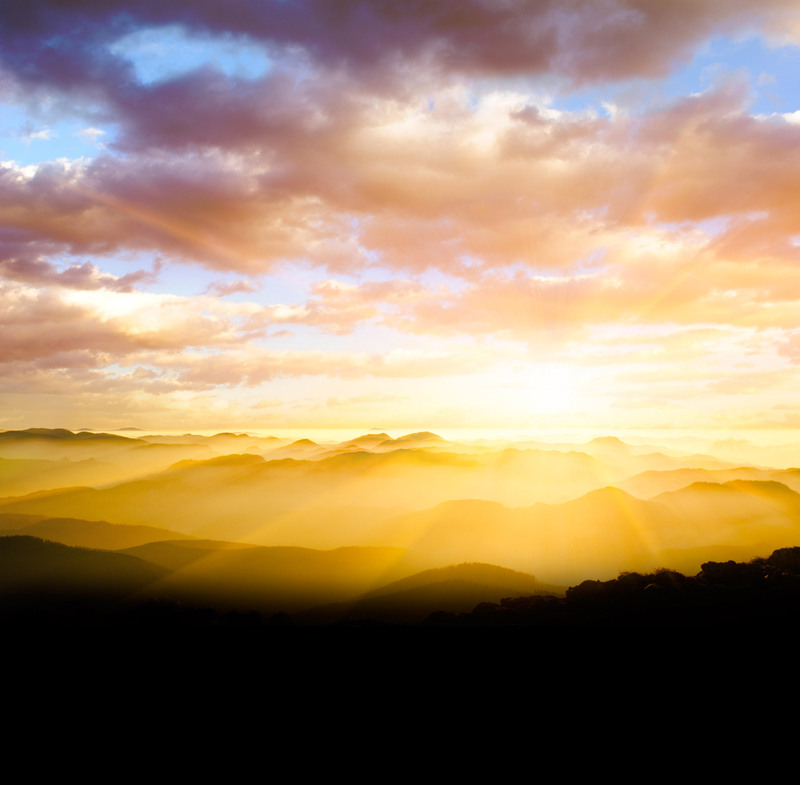 Thérèse felt her health and mental state returned to normal very quickly. Soon after on Christmas Eve 1884, she recounts having a remarkable conversion of spirit. She says she lost her inclination to please herself with her own desires. Instead she felt a burning desire to pray for the souls of others and forget herself. She says that on this day, she lost her childhood immaturity and felt a very strong calling to enter the convent at the unprecedented early age of 15. Initially the Church authorities refused to allow a girl, who was so young to enter holy orders. They advised her to come back when she was 21 and “grown up.” However Thérèse’s mind was made up, she couldn’t bear to wait. She felt God was calling her to enter the cloistered life. Thérèse was so determined, she traveled to the Vatican to personally petition the Pope. Breaking protocol she spoke to the Pope asking for permission to enter a convent. Soon after, her heart’s desire was fulfilled, and she was able to join her two sisters in the Carmelite convent of Lisieux. This was the “little way” which Thérèse sought to follow. Her philosophy was that what was important was not doing great works, but doing little things with the power of love. If we can maintain the right attitude then nothing shall remain that can’t be accomplished. St Thérèse was encouraged by the elder nuns to write down her way of spiritual practice. St Thérèse died tragically early at the age of 24 from tuberculosis. However after her death, her writings became avidly read by, first other nuns, and then the wider Catholic community. St Thérèse was canonized by Pope Pius XI on May 17, 1925, only 26 years after her death. In 1997, Blessed John Paul II declared her one of the only three female Doctors of the Catholic Church (there are 33 doctors of the church in total). Thus after her death she was able to achieve her intuitive feeling that she would be able to do something great and help save souls.